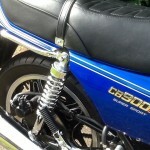 Restored 1980 Honda CB900FA Motorcycle. 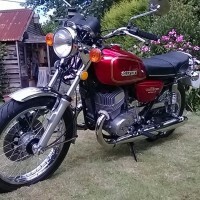 This Honda was restored by its owner over a five year period. The crankshaft big-end and main bearings were replaced. 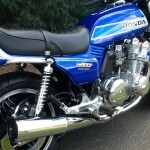 Genuine Honda primary chain rubber dampers were fitted. 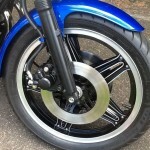 Genuine Honda cam chain tensioners were fitted. All of the clutch plates were replaced. 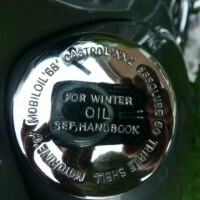 A complete set of new exhaust and inlet valves were installed with new valve stem oil seals. Both cam chains were replaced. The starter clutch was rebuilt. A new generator was fitted. The cylinder bores were honed. 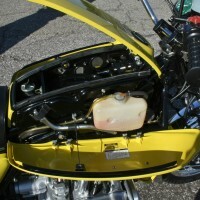 The engine was repainted in silver. All of the casings were polished. 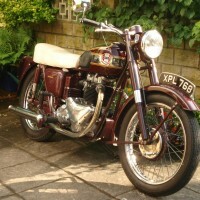 The carburettors were cleaned and new jets were fitted. All of the paintwork was professionally finished and new decals were applied. A new Marving 4 into 2 exhaust system was fitted. 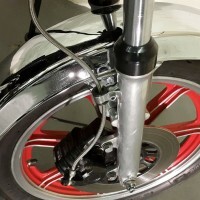 The forks were hard chromed. 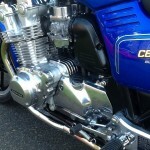 A stunning restored Honda CB900FA Motorcycle. 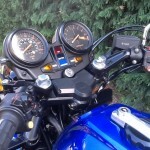 Honda CB900FA – 1980 For Sale or Wanted? 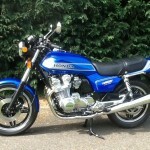 If you're looking for the perfect Honda CB900FA – 1980 for sale then take a look at the hundreds of restored classic motorcycles listed on our extensive Motorcycles For Sale pages. 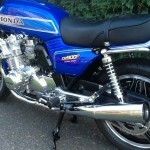 We regularly feature very nice restored Honda CB900FA – 1980 bikes for sale. 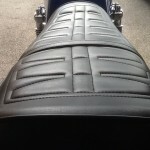 Spares and Parts for your Honda CB900FA – 1980? 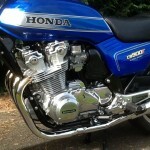 Workshop Manual for your Honda CB900FA – 1980?